With this interview, conducted in 2015, Lucretia W. McClure, AHIP, FMLA, is the first person to be interviewed twice for the MLA Oral History Project. 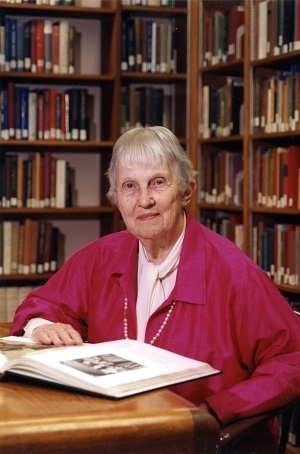 Her first interview in 1998 followed her retirement from the University of Rochester. Since then, she had a second career at Harvard University and has continued her numerous professional contributions and her influence on multiple generations of medical librarians. The new interview focuses on her activities since 1998 and her perspective on the changes and continuity in health sciences librarianship. McClure earned her bachelor’s degree in journalism from the University of Missouri in 1945 and her master’s in library science from the University of Denver in 1964. 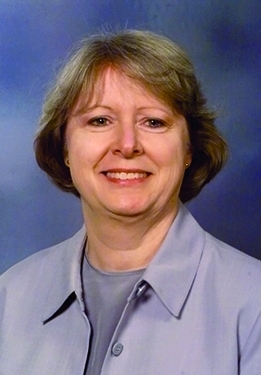 She began her career at the Edward G. Miner Library, University of Rochester Medical Center, as a cataloger, followed by a succession of positions before directing the library from 1979-1993. [C]ataloging was the basis of librarianship before the computer came. Everything was based on your understanding of knowledge, and how to put it together, how to deliver it, and all of that came with the cataloging. And it was really a very interesting job. Although nine out of ten librarians would tell you it’s boring, it isn’t boring. She was president of the Medical Library Association in 1990/91, Janet Doe lecturer in 1985, and received the Marcia C. Noyes Award in 1996. She served on the Board of Directors in 1980-1983 and chaired six MLA committees, two sections, and the Upstate New York and Ontario Chapter. Get yourself involved. Even if you don’t think you can write, write something. Speak somewhere. Do something that helps your library. Make sure that you’re helping your own library people, and mix up with other libraries in your community… [Y]ou have a voice and you need to use it. And MLA will help you. 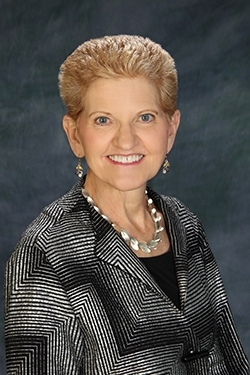 She was president of the Association of Academic Health Sciences Library Directors in 1985/86. The Noyes presentation noted her wide-ranging expertise in copyright, reference, acquisitions, preservation, information systems, medical history, international librarianship, and education. 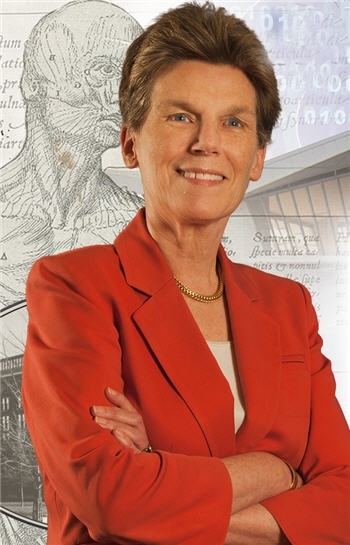 After her first retirement in 1993, she commuted to Boston as special assistant to the director of the Countway Library of Medicine at Harvard Medical School during 1996-2011, working on collection and other projects. I commuted to Boston every week, because I had little grandchildren here and I didn’t want them to never see me, and I didn’t want to miss all the excitement of little kids. So I would go on Sunday and come home on Thursday night, and I worked four days a week. I came for three months but I stayed seventeen years. She was a member of the National Library of Medicine’s Literature Selection Technical Review Committee (LSTRC), chairing it in 2005/06. She chaired the New York State Regents Advisory Council on Libraries in 2005-2008 and was president of the Rochester Regional Library Council. She continued her active schedule of publication, teaching, and presentation and her involvement in MLA. It’s awful to write; it’s hard to write; but it’s very satisfying, too. I like to write about reading and journals and advocating libraries, about copyright, about preservation—all of the things that I have been involved in… [W]e’re very eager to do something with our experience. So it’s important to have people who will be telling you things that you need to know. In the interview, McClure emphasizes the function of the librarian and her perspective on how it has evolved in the era of technology. Now, when you want something quick, the computer is your answer. When you want an expansive thing, a computer is your answer. But if you want to revel in a subject, if you are really interested in somebody or something, then I think you have to turn to a different access point. To improve the skills of future librarians, she urges MLA to partner with educators to influence preparation for a future difficult to envision. My greatest concern today is about the education of librarians, because I feel like we should be an active part with our colleagues in the library schools… I think we should have more contact with library schools. I think the future of librarians is going to be directly related to more science. I think they need more biology; I think they need more genetics; I think they need more of what the medical schools are utilizing. I don’t know that the library schools can do that or should do it, but I think we need to find out about it. I think there are skills that we’re going to need down the road, and I don’t know that we’re prepared for it. She advises MLA to transform the structure of meetings to collaborate with other professions in order to open doors for librarians. [I]nstead of having our annual meeting with all of us—we should be going to the other people’s meetings and showing our wares… There was a speaker many years ago at MLA, a doctor, and I’ve never forgotten what he said, because I think it reflects on us. He said that the problem with the medical field is that the red corpuscle men speak only to the red corpuscle men, and the white corpuscle men speak only to the white corpuscle men. I think we should open our wings and embrace a much wider area than we do today. Our meetings are by us, for us, and about us, and I think we should be out there collaborating with [other] areas…and be ahead of the game instead of chasing it. For her own part, she loves the profession, both the way it was and how it is changing. I think I would rather be remembered as a cataloger, a reference librarian, a serials librarian—any one of those things; as a person who liked the profession the way it was, liked the way it changed, liked the way it’s going to change, and wants it to be a continuing growth area and that there will still be people who are librarians.